Yep, you're seeing double. 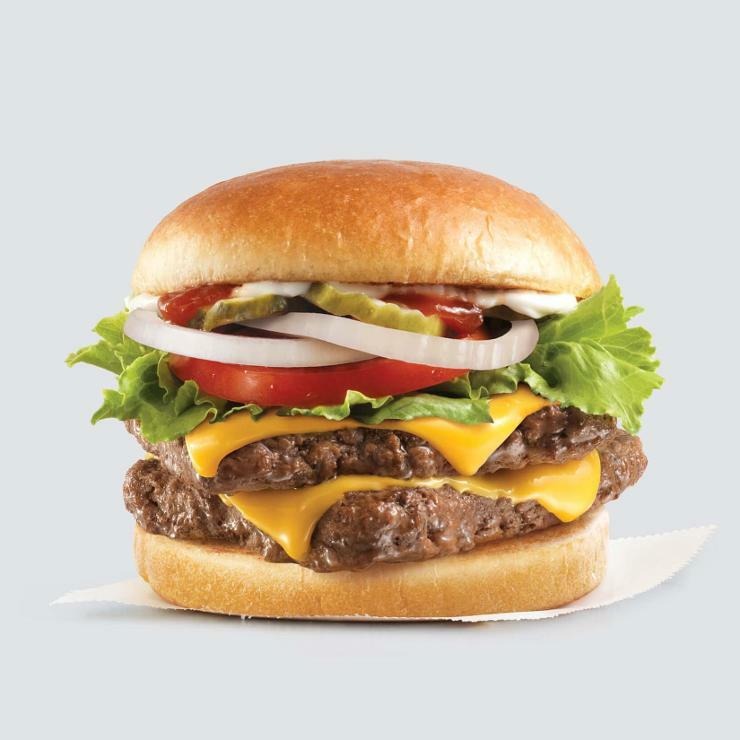 Two juicy patties of 100% fresh, never frozen Canadian beef with the freshest toppings on a warm toasted bun. Fresh beef available in the contiguous U.S., Alaska and Canada. *Approximate weight before cooking.